On this page, we invite you to browse the news and development of our products. In our varied range, from the design and effectiveness in environmental protection through a comfort, you will not fail to find a reference that attracts you. The reviews and consumer forum will reveal the satisfaction of customers who have already made their purchase at VerySmartShop. The rules for collecting, moderating and publishing notices help to distinguish the serious, reliable and quality services of the VerySmartShop e-commerce site. VerySmartShop reviews are consumer experiences and identified authors. The consumer is informed if his opinion is rejected. The consumer and moderator may report an opinion that seems suspicious to them. Professionals have the opportunity to respond to reviews. Reviews are presented by default from most recent to oldest. FitMarina, a specialist in fitness equipment and pool. At FitMarina, find all the fitness equipment and fitness to train at home and center Gym. Find all quality equipment for your pool, a reference. We are delighted to welcome you in the world of FitMarina store. authorized partner network Univeco Design, FitMarina.com is the specialist in the sale of equipment, fitness and outdoor. A world leader in high quality products. Neoflame is synonymous of elegance, modernity, Confidence and Design. bio-ethanol fireplaces, electronic burners ethanol inserts for heating and decoration, for inside and outside. The fun besides! The Neoflame ethanol fireplace is the fireplace freely and safely, house or apartment, owned or leased, just for the pleasure of your evenings by the fire. Last but not least fun, Neoflame the fireplace, it is also and we are proud of the best quality / price! SogeMarket is a market place: we act as a trusted intermediary between you and the merchant who sold the products on our site. SogeMarket leader of high quality products online. The selection of premium brands is obligatory: The merchants listed on SogeMarket on strict reliability criteria offer their products on SogeMarket. Poolex invents the Dreamline Hybrid 1st heat pump equipped with an electric interchange, real booster for heating the swimming pool! Heat Poolex pump. Smart and compact, an automated selection of energy will make it perform optimally according to the ambient temperature. Also its economic maintenance mode is particularly effective. Thanks to its hybrid system, it continues to operate where others stop. Finally the rainy season is no longer needed thanks to a system that safeguards the unity of the titanium, the coil exchanger. 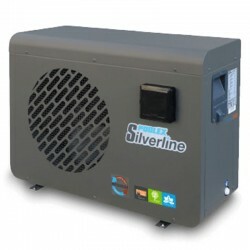 Poolex Dreamline, the heat pump for swimming pool suitable for all seasons! Plancha Tonio. The preparation of food at griddle allows to have tasty and balanced dishes. Created in 2000, TSMP, Plancha-Tonio is a company based in the South West of France, in the region of aquitaine, and implanted in Narrosse (40) near Dax. The approach of the TSMP company is to offer to our customers a close relationship and a comprehensive understanding of their environment and their expectations, to offer them solutions adapted to their demand and their needs, while remaining in conformity with their capacity budgets. Plancha Tonio is a SavorCook selection for Univeco/Casa. Pure Spa Intex. Take time to relax! Inflatable spas designs, comfortable and ultra resistant FIBERTECH equipped with technology for exceptional strength and rigidity. New spa Intex jets and bubbles octagonal offer many advantages: they are very simple to install, portable and nomadic as particularly inexpensive compared to a spa in solid! The new models are available in 4 and 6-seater bubble and jet, with filtering and saltwater system. We also propose you to discover the only model of inflatable Spa which includes a small pool, ideal for enjoying the family spa! The brand reference above ground and inflatable spa. Founded in 1964 in Los Angeles, California. INTEX is now present in over 100 countries and employs approximately 14,000 people. undisputed leader, INTEX has built its reputation thanks to an ultra-modern production facility using advanced technologies and ongoing production control. Intex, the specialized brand of pool and spa selected by the specialist FitMarina.